In the skies above California’s San Joaquin Valley between roughly Bakersfield in the south and Fresno, located right smack-dab in the Valley’s middle, aerial-air-quality surveillance, via National Aeronautics and Space Administration (NASA) aircraft, is in progress. Incidentally, I see this as a good thing. According to a NASA press release, the aerial (in the air) air-quality reconnaissance over the Valley will be conducted from mid-January to mid-February. It is at this very time of year in particular that particulate pollution tends to blanket the Valley floor. “The aircraft are part of NASA’s five-year DISCOVER-AQ study, which stands for Deriving Information on Surface conditions from Column and Vertically Resolved Observations Relevant to Air Quality,” NASA notes. “Its researchers are working to improve the ability of satellites to consistently observe air quality in the lowest part of the atmosphere. If scientists could better observe pollution from space, they would be able to make better air quality forecasts and more accurately determine where pollution is coming from and why emissions vary. “A fundamental challenge for space-based instruments for monitoring air quality is to distinguish between pollution high in the atmosphere and pollution near the surface where people live. DISCOVER-AQ will make measurements from aircraft in combination with ground-based monitoring sites to help scientists better understand how to observe ground-level pollution from space,” NASA reports. It was an observation by one of the onboard flight personnel that I found especially poignant. What I hope is that a comment of this nature, that is, coming from such an authority as Fried, will drive home the importance of just how widespread and problematic air pollution is, prompting comprehensive action to try to rid the air of this toxic soup for good! 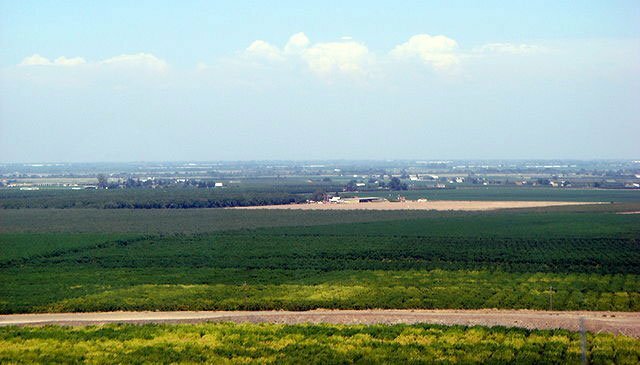 Meanwhile, the photo accompanying The Fresno Bee article in question shows the Valley floor, from the western Fresno County town of Huron to presumably an exposed Sierra Nevada Mountain range off to the east under a layer of polluted air. Commenting on the photo’s contents, it’s not a pretty picture. Having read this, I can’t help but think what Valley residents are breathing and that the area is known notoriously or infamously as America’s capital for childhood asthma. For more, see: http://www.nasa.gov/home/hqnews/2013/jan/HQ_13-016_DISCOVERY_AQ_study.html and http://valleyair.org/recent_news/News_Clippings/2013/IntheNews1-28-13.pdf.